Demonstrations can be made in a variety of traditional crafts and contemporary creative skills. Specialising in the use of greenwood techniques, coppiced materials (willow, hazel, oak, etc.) 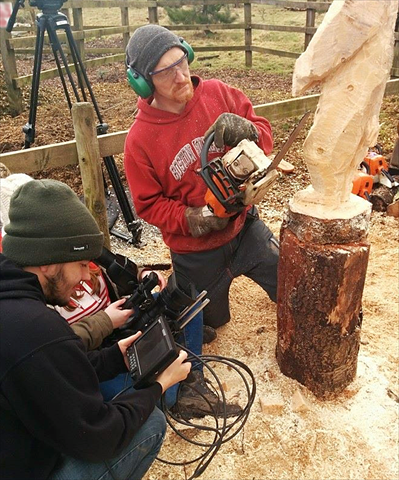 and chainsaw carving. Fully insured for public demonstrations and NPTC qualified for use with a chainsaw.